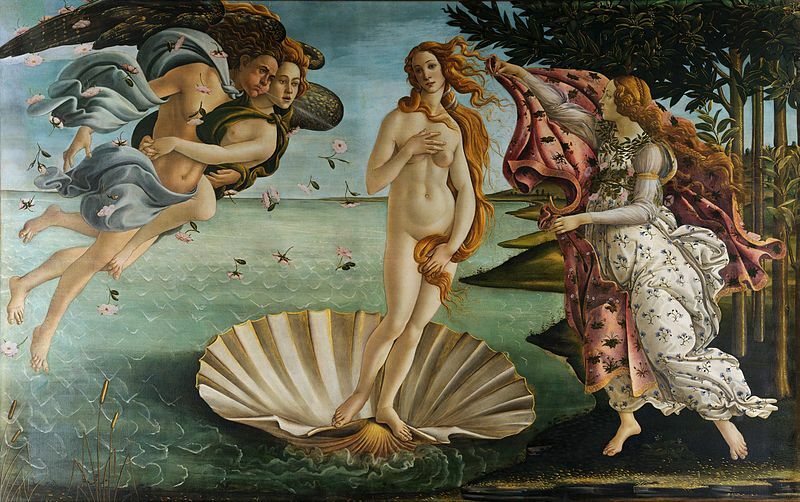 One of the highlights of my trip to the Galleria Uffizi were the Botticelli’s – “La Primavera (Spring)” and “Birth of Venus”. Botticelli was one of the first painters of his time who painted scenes from Greek and Roman myths as opposed to soley biblical scenes. These two paintings are lovely depictions of beauty and myth – including dipictions of Zephyr (Wind – on right in “La Primavera” and on left in “Birth of Venus”) and the three Graces. It looks to me like Zephyr is on the *right* in “La Primavera”, and on the *left* in “The Birth of Venus”. I suspect you got your description reversed. Or is Zephyr not that bluish breezy-looking dude? oops – left right, right left — not my strong suit. Thanks for pointing it out Biospud!